When you're looking at adding additional lights for safety and style, you need to take a look at the Anzo scanning LED tailgate light bars. Ultra bright LED bulbs and a water resistant design make this light bar with scanning amber turn signals the perfect choice. This Anzo light bar offers a unique look with its scanning amber turn signals. You also get brake lights, hazard lights, and reverse lights. Mounting a tailgate light bar from Anzo on your truck or SUV is no problem since it comes with pre-applied mounting tape. You can choose from either a 49" length that works great for SUVs and midsize or compact trucks, or if you have a full size you would want to go with the larger 60" size. Either way, your vehicle is going to look good and keep drivers behind you apprised of your intentions. 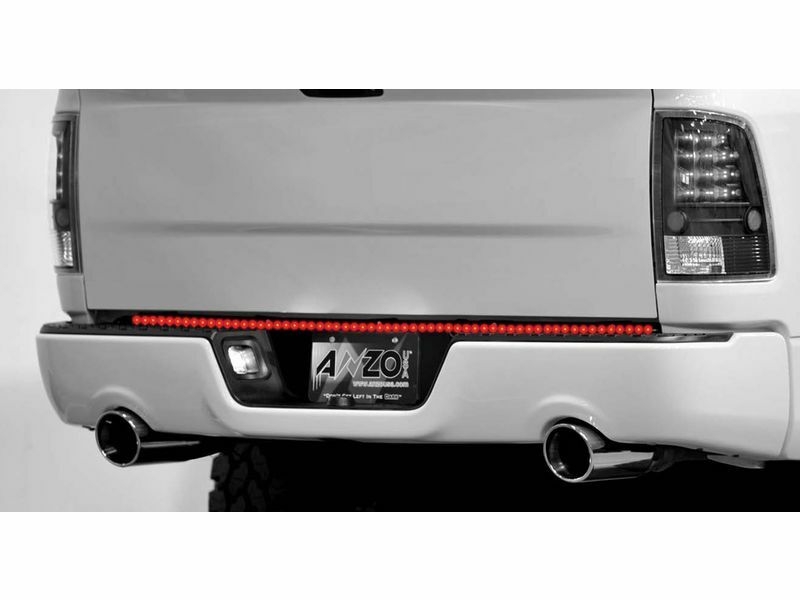 Make you and your family safer with an Anzo LED scanning tailgate light bar. It even comes with a one year warranty that protects against defective materials or workmanship! 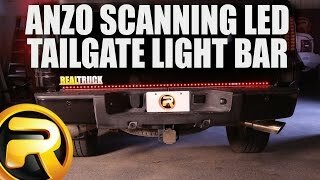 Anzo scanning tailgate light bars offer an easy at home no drill installation. Each light bar has pre-applied automotive adhesive tape, making for a peel n stick installation. For additional information please call us at 1-866-309-1907 or 701-253-5906.